Every living thing on Earth needs food to survive and live a healthy life. Plants are also living things, so they need food regularly. But instead of waiting for someone to feed them, they produce their own food. They produce their food in a process called ‘Photosynthesis’ and generate oxygen for us. 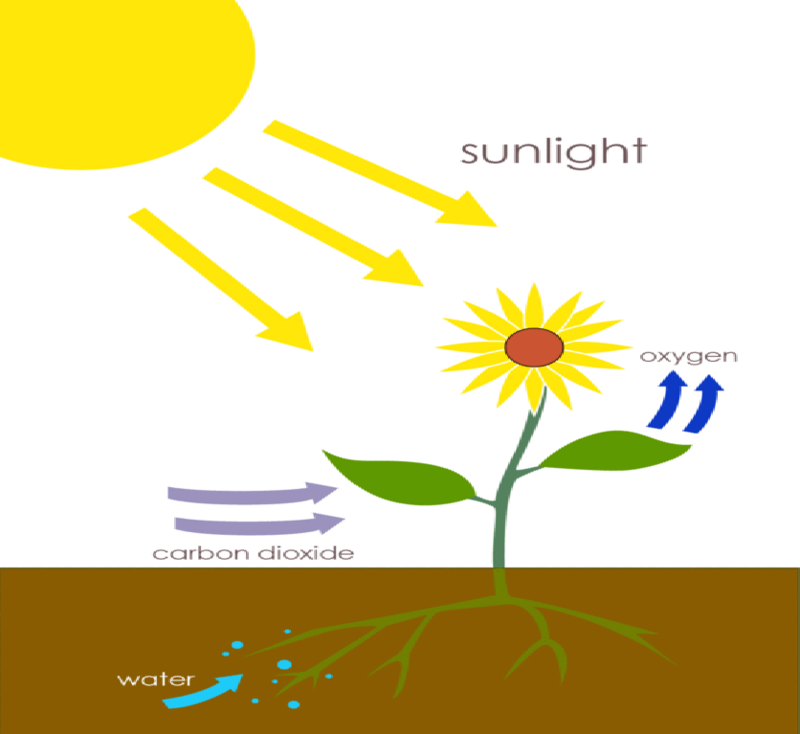 Plants need three things to make their food which are sunlight, water, and carbon dioxide. These materials are crucial for plants, they get them from nature. Sunlight from the sun and carbon dioxide from the atmosphere are available for free. But, water is available in the ground due to rain, rivers, or human irrigation system. So, getting water is a little bit difficult when rivers are dry and precipitations are very low. Carbon dioxide is absorbed by leaves of the plants. The leaves of the plants contain small pores called “stomata”. The carbon dioxide is absorbed through these small pores. Water and necessary minerals are absorbed by the roots of the plants. These absorb the water from the ground. Water is then sent to different parts of the plants through vessels in its stem. Sunlight is absorbed by chloroplasts in the leaves of plants. Chloroplasts have a green color and those are responsible for the green color of leaves. The photosynthesis process happens in two phases in a plant. 1st Phase: In this phase, the sunlight is absorbed by chloroplasts in the cells of plant’s leaves. The chloroplasts contain a substance called chlorophyll, which stores the energy from sunlight into a chemical called ATP. 2nd Phase: The ATP produced in the first phase is used to produce glucose and oxygen from the water and carbon dioxide. The 2nd phase can happen in the night time because it is not dependent on direct sunlight. This phase is also called Calvin Cycle. 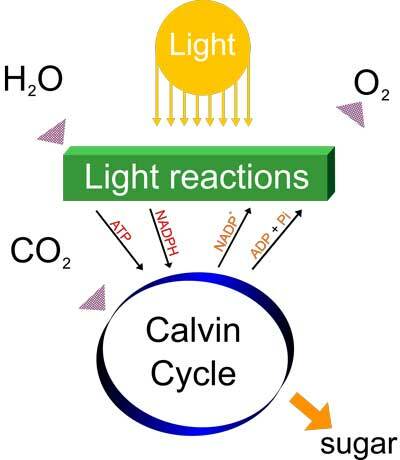 Photosynthesis in terms of chemistry is a chemical reaction that is activated by light. In this reaction, light and chlorophyll break-up the water into its two constituents; oxygen and hydrogen. The oxygen and hydrogen combine with carbon dioxide to produce glucose, and oxygen is released as a gas in the atmosphere. 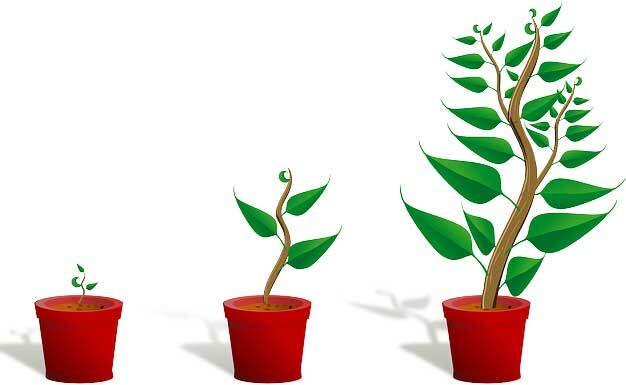 The glucose is like a fuel for the plants, it is used to provide energy for the growth of plants. Plants also store some glucose in their leaves, fruits, and roots to use them later. Photosynthesis process is very necessary for all living things on Earth. It produces oxygen as a byproduct in food preparation. Oxygen is very necessary for all living things in breathing. All the oxygen on Earth has been produced by these plants and some other creatures (some algae and bacteria) since few billion years ago. It is very difficult to predict the fate of earth without photosynthesis. But it is clear that, if photosynthesis stops suddenly, no more oxygen will be produced. Gradually, the available oxygen will be consumed and every oxygen breathing creature would die. Besides the oxygen, plants are considered as producers of food. All the animals highly depend on the plants for their food, because animals just eat food without producing it. Some animals directly eat plants are called herbivores (e.g. sheep, and cow), and others eat the herbivores are called carnivores (e.g. lion, tiger, and dog). Carnivores are indirectly dependent on the photosynthesis. Increasing the number of plants, taking a good care of them not only provide oxygen to us, but also provide us with food. Scientists think that first organism to use photosynthesis were cyanobacteria. They used photosynthesis about 3.5 billion years ago. It is estimated that an adult person consumes about 740 kg of oxygen in a year. This amount of oxygen is produced by about eight trees in a year. Our planet started to turn green after the evolution of photosynthesis in bacteria and plants. 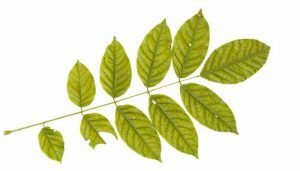 Abdul Wahab, "Photosynthesis," in Science4Fun, April 13, 2019, http://science4fun.info/photosynthesis/.